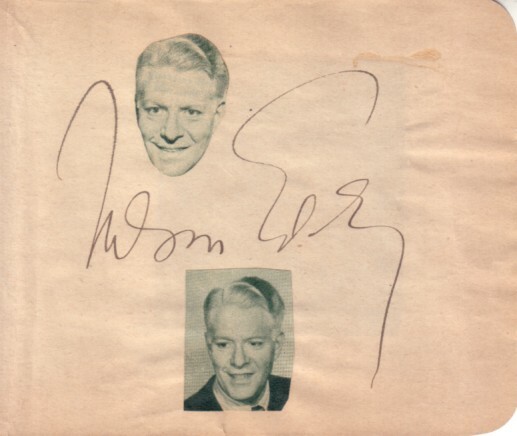 Roughly 4 1/2 by 5 inch autograph album or book page autographed in pencil by singer and actor Nelson Eddy. Obtained from the family of a Hollywood housekeeper who cleaned the houses of the rich and famous during the 1940s. 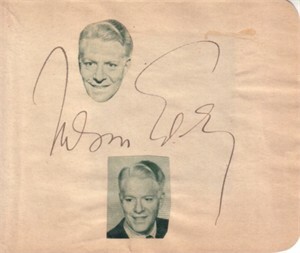 NOTE: there is a photo of an unknown actress pasted on the back. Has typical yellowing for its age. With certificate of authenticity from AutographsForSale.com. ONLY ONE AVAILABLE FOR SALE.